Extreme drought conditions have expanded in Northeast Texas. Conditions in Lamar, Delta, and Hopkins counties have worsened, according to the latest report from the Texas Water Development Board. Hunt and Fannin counties remain in drought conditions ranging from moderate to extreme. This is the only region of the state plagued with such conditions. 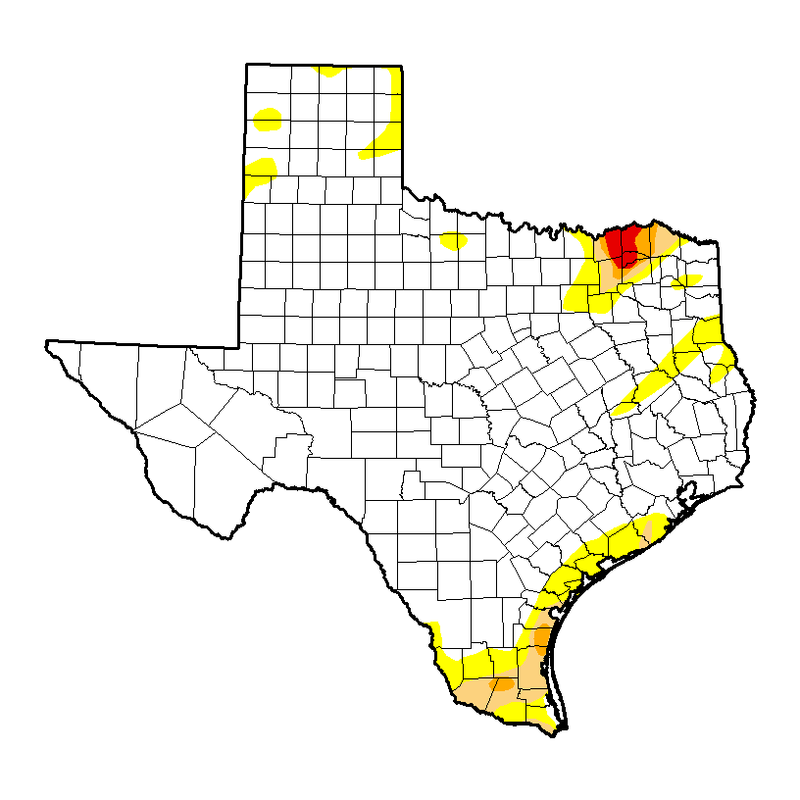 A strip of abnormally dry to moderate drought counties runs between Brownsville and Houston,with pockets of severe drought. But no other section of Texas is under extreme drought.